BOZEMAN — The common crack around the state of Montana and the Big Sky Conference in the midst of Montana State’s football team became common. To be fair, Troy Andersen is certainly built like a linebacker. His greatest potential likely lies on the defensive side of the ball. But the transcendent talent went from Wildcat shotgun runner to proficient triple option offense operator to a quarterback who bordered on complete by the end of his sophomore season. 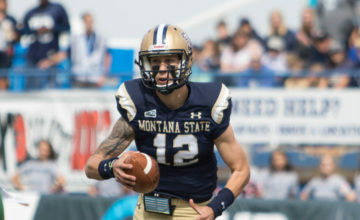 Andersen used his rare blend of speed and power to rush for 1,412 yards and set a Montana State single-season record with 21 touchdowns on the ground. He also completed 55.3 percent of his passes for 1,195 yards and three touchdowns on the way to earning unanimous first-team All-Big Sky Conference honors. Down the stretch, Andersen developed an ability to hit a deep pass or two each game, something that opened up Montana State’s offense once MSU transitioned to Matt Miller’s play calling following the October dismissal of Bob Cole and demotion of Brian Armstrong. Andersen hit a 43-yard pass in a 24-17 loss at Idaho State. MSU didn’t need any deep passes in a 49-42 win over Cal Poly, instead rushing for 430 yards, including 227 yards and three touchdowns from true freshman Isaiah Ifanse. Montana State employed a similar ground and pound mentality in a 35-7 win over Northern Colorado. Andersen’s 45-yard bomb to Travis Jonsen to set up one of his three touchdowns and cut what was once a three-touchdown Griz lead to 25-22 on the way to a 29-25 victory. In MSU’s 35-14 win over Incarnate Word in the first round of the FCS playoffs, Andersen hit Jonsen for another 39-yard gain that led to a touchdown. Even in Montana State’s 52-10 loss to eventual national champion North Dakota State in the second round of the playoffs, the first play of the game as an explosive play orchestrated by Andersen. He hit Kevin Kassis for an 84-yard gain, but the Bobcats settled for a 24-yard field goal from Tristan Bailey. As the Bobcats jump back into spring practices for 2019 — MSU began practices the second week of March before taking last week off for spring break — on Tuesday, Choate said he has his eye on several position groups and points of emphasis. The No. 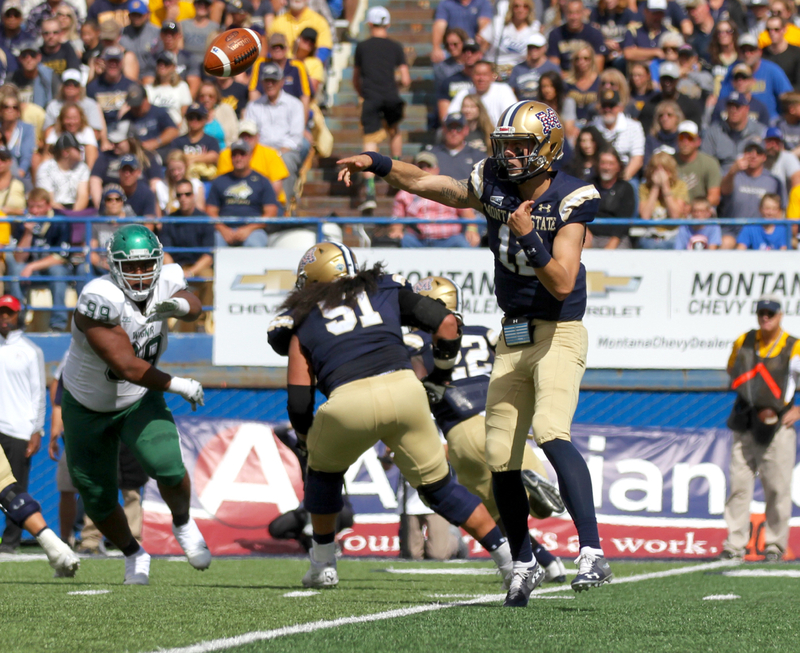 1 point of analysis for Montana State’s fourth-year head coach will be finding a signal caller who can replicate the explosive flashes the Bobcat offense showed during MSU’s first run to the post season since 2014. 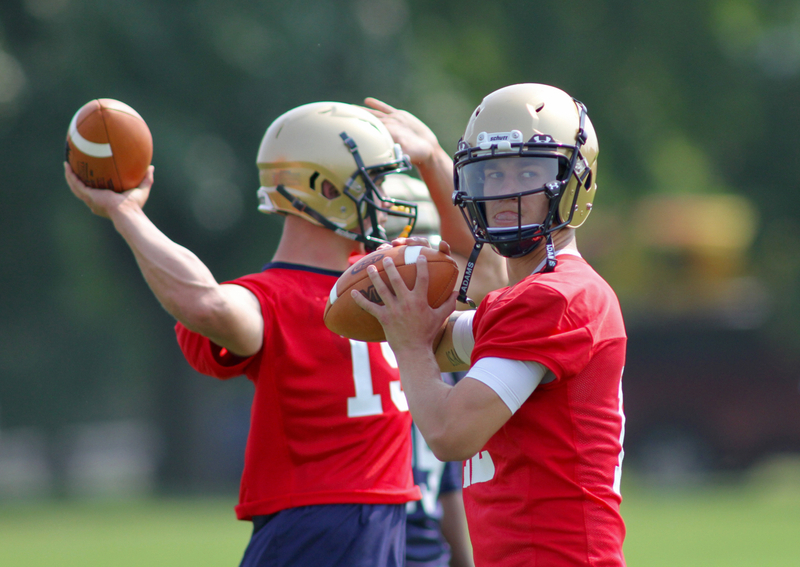 “I want to see somebody who can create some explosives in our offense,” Choate said. “That’s something we’ve lacked to a certain degree. When we were able to do that, we were able to make some things happen down the stretch. Whether it’s Isaiah Ifanse, who set MSU’s single-season freshmen rushing record with 1,057 yards last season, or Andersen or fifth-year senior Logan Jones or an emerging talent from a running backs group Choate said he’ll have his eye on, he remains optimistic the Bobcats will be able to run the football. The Bobcats rushed for 231.8 yards per game on the way to eight wins last season. 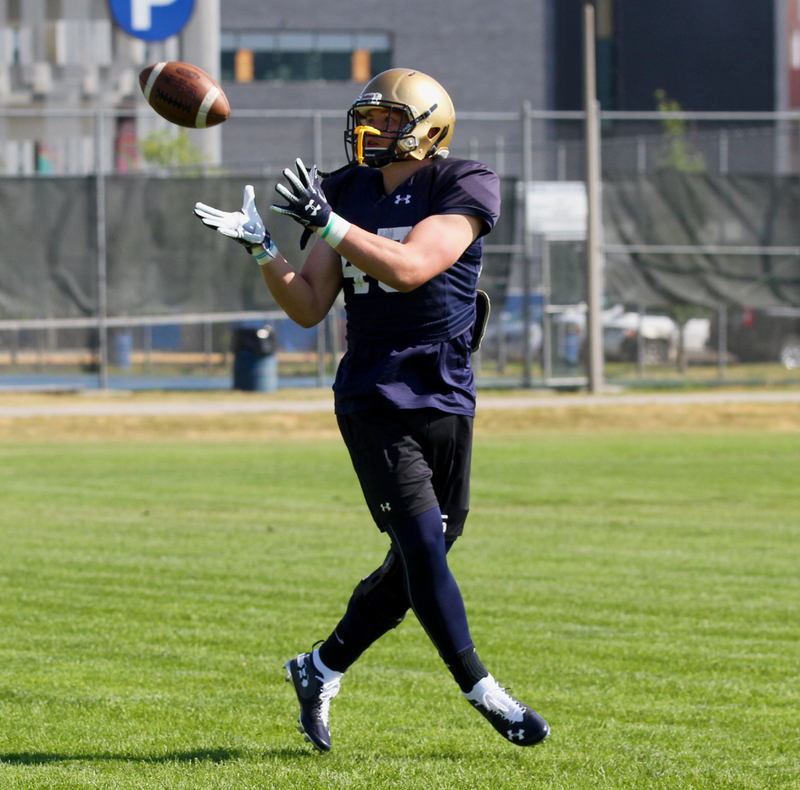 Montana State’s wide receivers are all of a sudden a group flush with veterans. 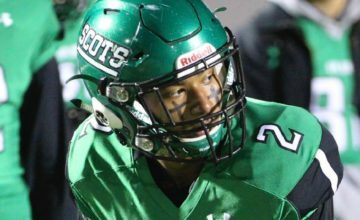 Jonsen, a former quarterback at Oregon, caught 28 passes for 319 yards and rushed for 212 yards and five touchdowns in a hybrid role. 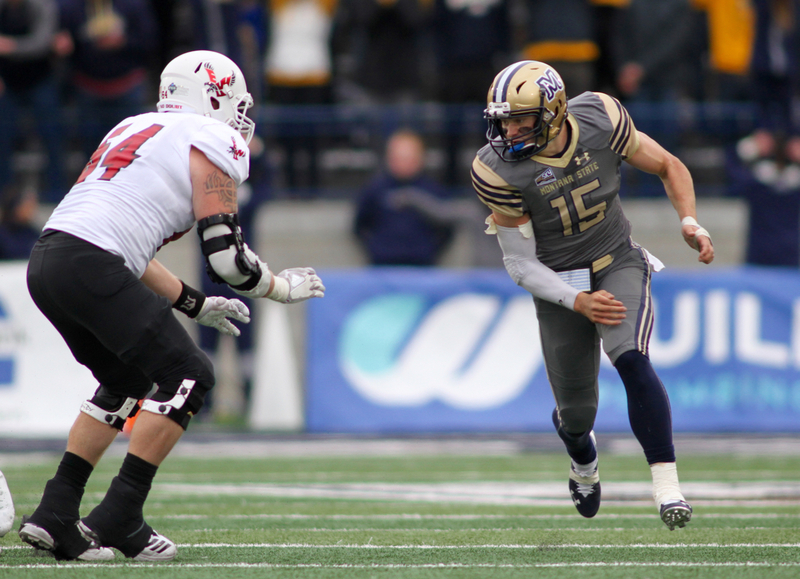 Kevin Kassis returns after serving as Montana State’s lone junior captain a year ago. He led Montana State with 55 catches for 663 yards and three of MSU’s eight passing touchdowns. 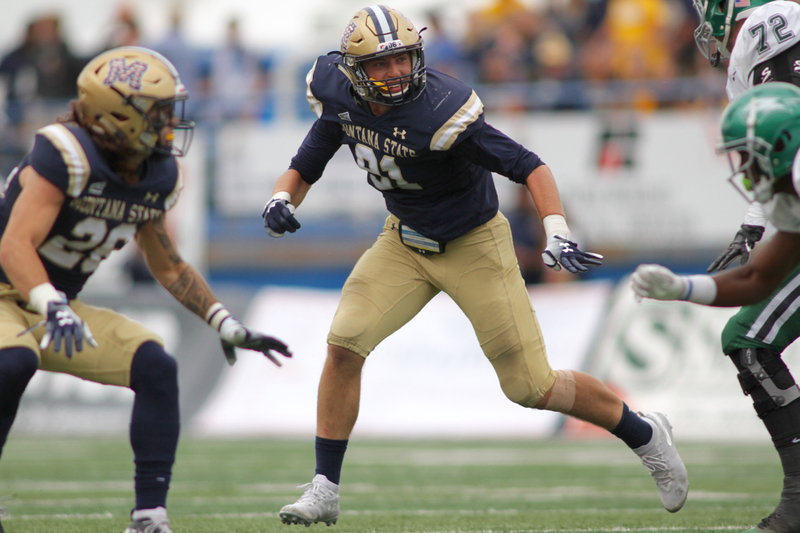 Montana State’s offensive line loses three-year starting center Alex Neale but return left tackle Mitch Brott for his fourth year as a starter. Junior Lewis Kidd is entering his third year as a starter and can play guard or tackle. Junior guard Taylor Tuiasosopo, sophomore right tackle Connor Wood and sophomore center Zach Redd all have starting experience from last season as well. MSU loses three stalwarts — Curtis Amos, Connor Sullivan, Wilson Brott — at tight end. But Choate has expressed confidence in the potential of junior Ryan Davis and redshirt freshman Derryk Snell. Junior Jacob Hadley is still trying to fully recover from a devastating knee injury suffered in the spring of 2017 and will change positions to fill a need at tight end. The Billings Central product has played safety, Buck end and Sam linebacker during his time at MSU. Defensively, Montana State will need to replace the all-conference trio of nose guard Tucker Yates, tackle Zach Wight and end Tyrone Fa’anono. Derek Marks, a Belgrade native and four-year contributor, received rave reviews for his play as a junior last season moving up and down the front. And Bryce Sterk led the league in sacks (8.5) and tackles for loss (17) in his first year at MSU after transferring from Washington. 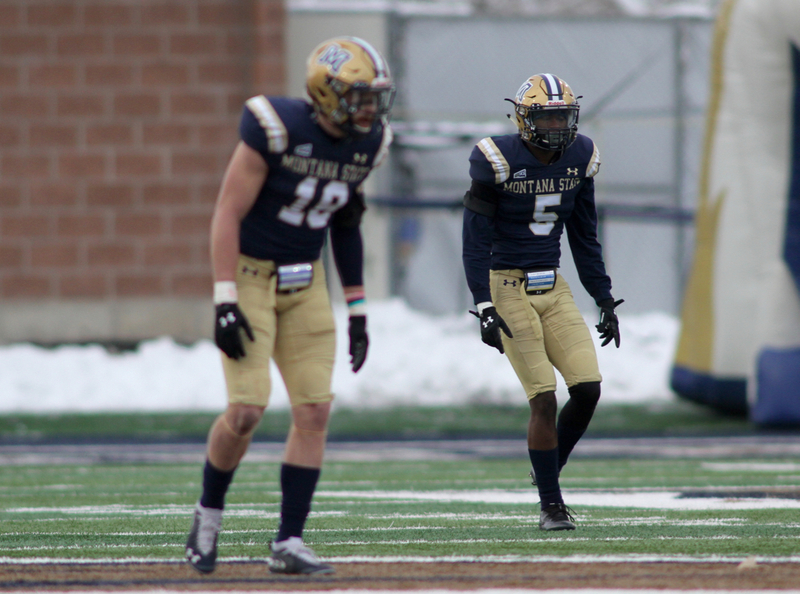 Montana State’s secondary is flush with talent and under new or reshuffled leadership. Kane Ioane, Montana State’s linebackers coach from 2005 until 2016 before spending the last two seasons as an analyst, is back as the defensive coordinator and safeties coach. Ioane inherits a group led by two of the most talented safeties in the league. Jahque Alleyne, a former Virginia Tech transfer, led the Big Sky in interceptions in his first season at MSU. Brayden Konkol, also a local product from Belgrade, shifted from Will linebacker where he started in 2017 to again lead the Bobcats in tackles, this time with 93 stops. Ioane is excited to work with the group as well as coordinate from the angle he saw the game as a player. Kyle Risinger, MSU’s primary safeties coach the last two seasons, will coach a cornerbacks group that returns seasoned, talented senior Gregory “Munchie” Filer III along with juniors Jalen Cole and Tyrel Thomas. “We return five guys who started significant games in the secondary for us so there’s not a lot of mystery there,” Choate said. “Defensive line, there is going to be some new faces. With the graduation of Tucker and Zach and Tyrone, that’s an area where you are going to see some new faces. But there’s guys who have already played there too. Montana State’s linebackers group was ravaged by injury last season. Inside linebacker Josh Hill lost his season before it because due to off-season back surgery. Graduated senior Grant Collins played the entire season with worn out shoulders after a career impacted but never derailed by numerous surgeries. Michael Jobman played in all 13 games, finishing third on the Bobcats with 73 tackles from his Will linebacker spot. 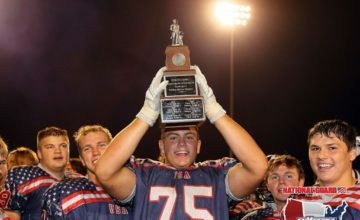 Jobman’s reps were elevated in part beucase of the improvements made by the 6-foot-4, 220-pounder and in part because of the injuries to Collins, Hill and Chad Kanow, who only played the first month before a knee ailment cut his campaign short. Balue Chapman, a former Montana Gatorade Player of the Year from Bozeman, was forced to medically retire after having a second straight season cut short. But the biggest story line of this off-season might be Andersen playing outside linebacker for the second set of spring practices in a row. The linebackers — former junior college transfer Daniel Hardy and sophomore Tadan Gilman will also push for playing time while senior Walker Cozzie and sophomore Callahan O’Reilly will provide depth — also will have to acclimate to a new coach. Ioane replaced Ty Gregorak, who also held a reputation as one of the best linebackers coaches in the FCS during his 12 seasons at Montana and three more at Montana State. With Ioane moving to the back end, Bobby Daly will take over as MSU’s linebackers coach. From 2004 Big Sky Defensive MVP Roger Cooper to Daly to 2009 Big Sky Defensive Player of the Year Dane Fletcher to Jody Owens, the Big Sky’s top defender in 2012, to current CFL and NFL standout Alex Singleton, a 2014 All-American, to 2018 All-American Mac Bignell, Montana State has had a consistent string of star linebackers this century. Daly wants to hold his group, regardless of that circumstance, to that same level. “Expectations are to be the best and they always will be,” Daly said. “That’s not going to change. I’m very, very excited for spring ball. I have a group of 13 guys in my room and all I’ve really seen is max lifts and a little bit of mobility training. So I don’t know necessarily what they are as football players.